Idyllic Country Setting! 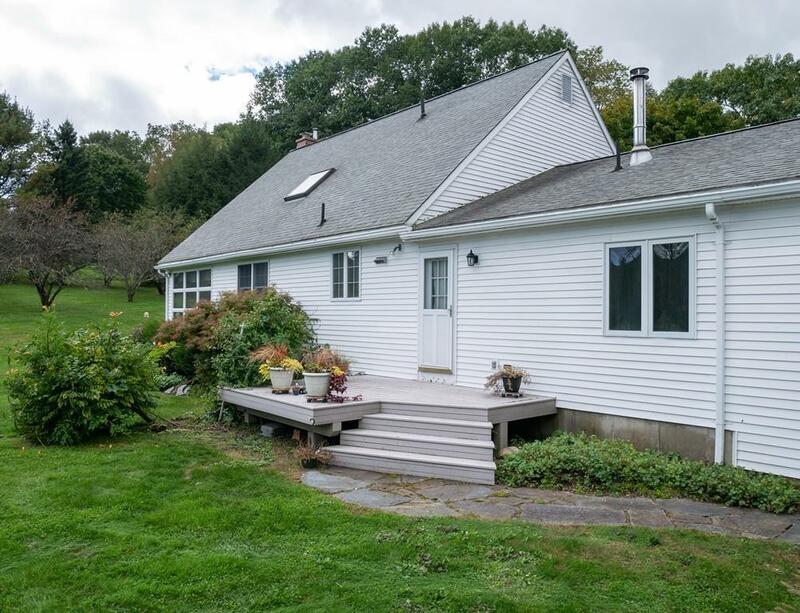 Classic Cape home w/addition set on 2.15 acres offers 3089 sq ft of versatile space. Streams of sunlight pour through the main living room area, an open floor plan which includes: Living Room w/fireplace & woodstove, Dining Room w/windows offering an unrestricted view of hills & greenery, Kitchen w/tile floor which leads to 1/2 bath & addition. 3 Bedrooms: Convenient, 1st floor Master Suite w/full bath, 2 bedrooms upstairs w/full bath & common area w/skylights. 1996 addition has separate entrance while also accessible thru original house. PERFECT set-up for a home business/office or studio. Addition includes: 1st flr Family Room w/woodstove & recessed lighting, 2nd flr Great Room w/skylights, built-ins, bay window & walk-in closet. 1st flr storage room, enclosed screen porch w/tasteful pine paneling, 2 car garage. Added Bonus: NEW septic system 2019. Live where you work, work where you live or simply enjoy all the possibilities this home offers! Listing courtesy of Lisa Palumbo of Delap Real Estate Llc. Listing provided courtesy of Lisa Palumbo of Delap Real Estate Llc.